NOVA ROCK FESTIVAL • Thema anzeigen - Lockers and Phone Charging facilities? Lockers and Phone Charging facilities? Betreff des Beitrags: Lockers and Phone Charging facilities? Will there be lockers with phone charging facilities? Or will they even be available seperately? Thank you. Betreff des Beitrags: Re: Lockers and Phone Charging facilities? no lockers but it's possible to charge your phone @ the VOLUME CHILL & WIN AREA! pls see the area-map for the position & the faq's for the opening times. Will be a small-sized points/places for this purpose except the "VOLUME CHILL & WIN AREA"? 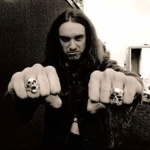 Hi Cliff Burton, just curiosity check here: https://www.premier-lockers.com/. They have phone charging lockers. I guess they are already done with the booking/planning of the facilities, as the festival starts in a few weeks.